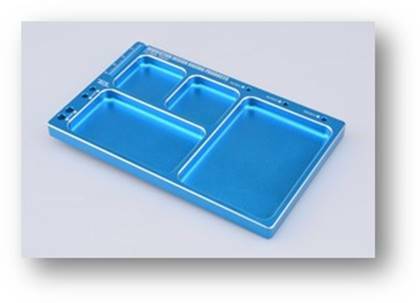 Machined from aircraft-grade aluminium and coming in five different colours the tray offers four pockets to hold small and medium size parts during building, setup and maintenance. 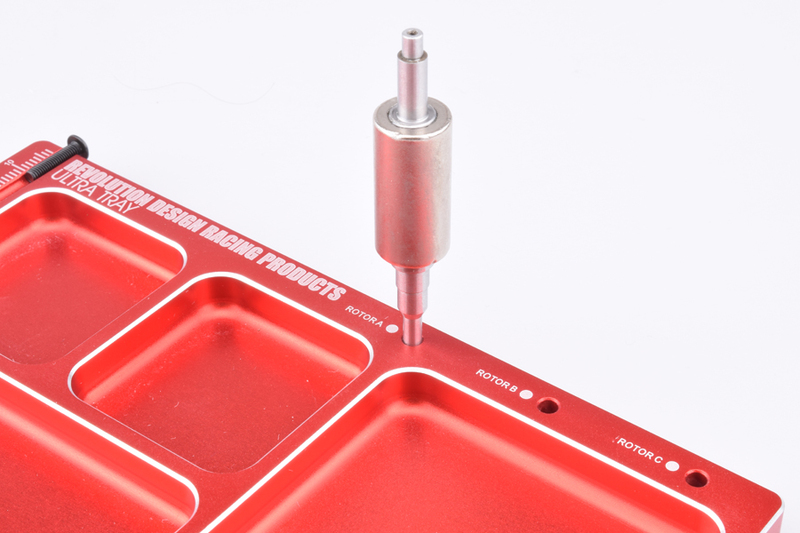 On top of this it sports machined holes to securely hold 4mm and 5mm bullet-type connectors during soldering, and it can take up to three 540-size rotors while a purpose-designed pocket helps to quickly measure the length of 3mm screws without any additional tools. 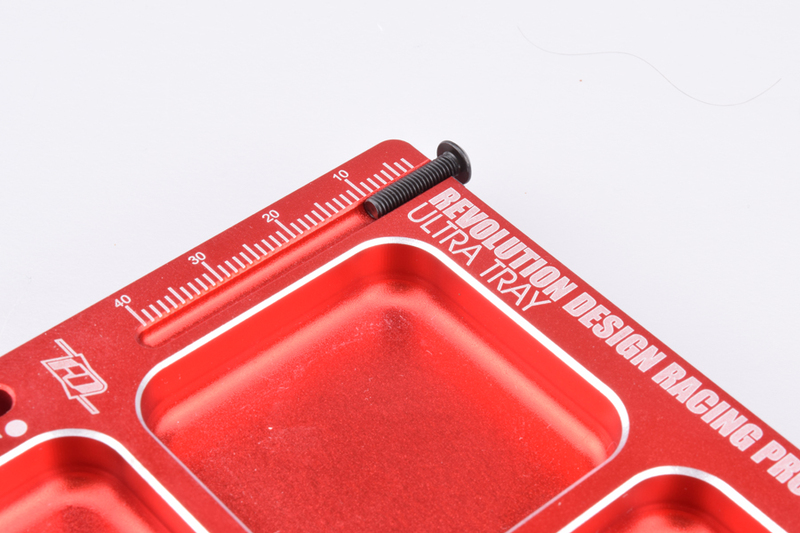 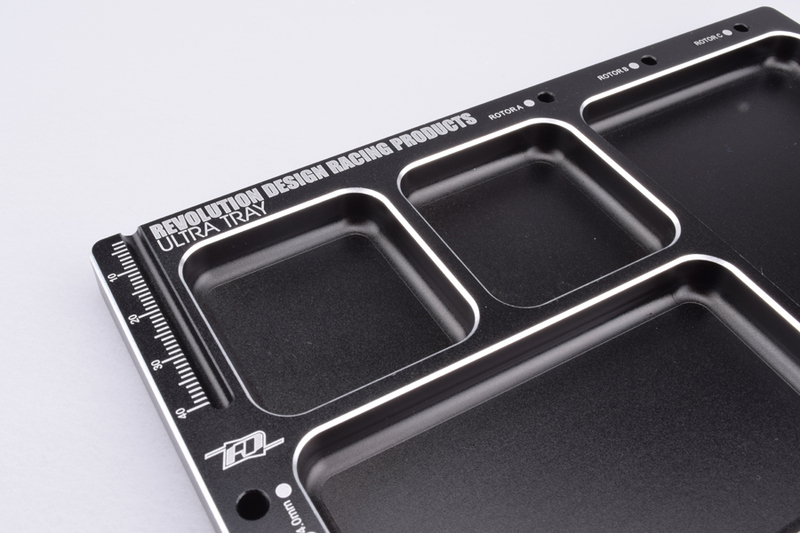 The tray comes in the five different colours of "Tamiya" light blue, "Yokomo" dark blue, black, orange and red and it features silvered chamfered edges as well as laser-etched logos and markings to make it stand out from the crowd.